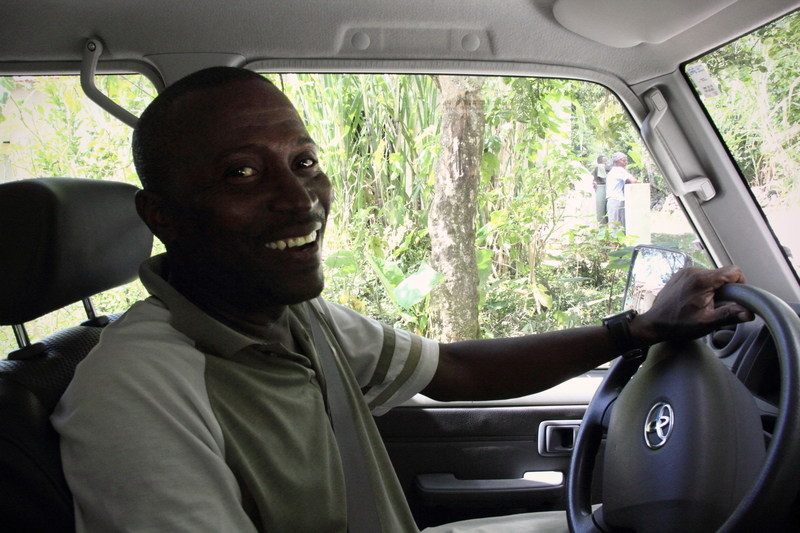 Jean Berlin knows that his life was spared during the Haiti earthquake in 2010 for a reason. And that reason is to serve others. In honor of World Humanitarian Day, we wanted to share his amazing story of a life dedicated to serving people. “I felt something would happen,” he recalled. He left the building, excusing himself from his students and explaining that he wasn’t feeling well. A building in Port-au-Prince that collapsed during the January 2010 earthquake. Moments later, when the shaking started, Berlin was confused. He’d never experienced an earthquake before. He closed his eyes, and when he opened them, the school was gone. The building had collapsed and everyone inside was dead. “I said, ‘Oh my God what happened?’” Berlin ran home to check on his two sisters. Thankfully, both had survived the earthquake. Berlin still has no answer as to why so many died that day, but he survived. All he knows is that he is here for a reason. “Jesus saved me to serve people,” he says with confidence. Although Berlin loved teaching, he now dedicates his life to helping protect vulnerable families and communities in Haiti from future disasters, like hurricanes, floods, and earthquakes. As a project manager for World Concern’s Disaster Risk Reduction program in Port-de-Paix, Berlin teaches people safe building practices, disaster preparedness, and how to keep their families safe in a disaster. He says he never wants to see such massive, preventable loss of life again. Jean Berlin survived the Haiti earthquake. He believes it was so that he could serve others as a humanitarian and help prevent future disasters. Berlin’s humanitarian service is his life mission, and the mission of World Concern. We at World Concern humbly salute Jean Berlin as a dedicated humanitarian who is fulfilling his calling by serving others and protecting human life. Listen to Jean Berlin say, in his own words, why he believes his life was spared so that he could help protect others. 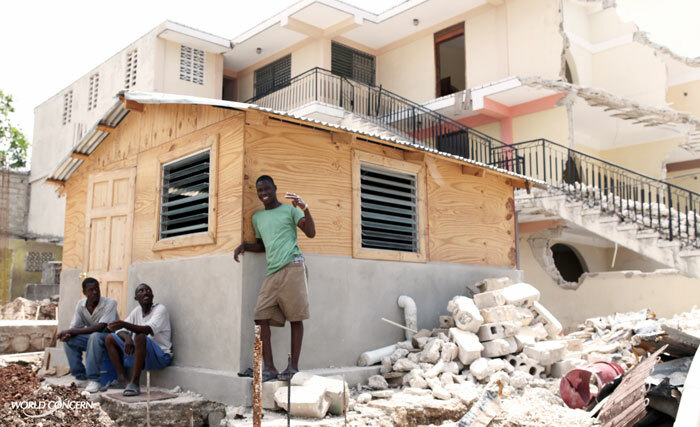 When Hurricane Sandy hit the island nation of Haiti on Oct. 24, it took the lives of more than 50 people, destroyed more than 6,000 homes, and damaged another 21,000 homes. According to the U.N., nearly 2 million Haitians were affected by the storm, which made landfall on the island nation as a category 1 hurricane before spiraling through the Atlantic and slamming into the East Coast of the U.S. on Oct. 29. Mr. Maxi (center) stands with several family members outside the one-room shelter they pieced together with debris from their destroyed home. This family, and others, will soon have a new home. 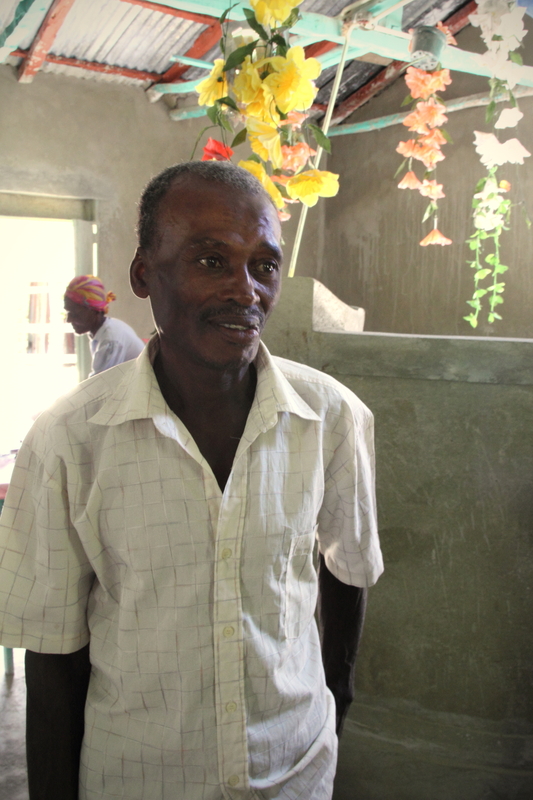 As families braced for the hurricane in Southern Haiti, a struggling farmer named Mr. Maxi did all he could to protect his home in the rural village of Marc-Cavaillon. He feared for the safety of his wife and two sons as fierce winds and torrential rains battered their home. Their lives were spared, he believes, by God and a few trees on their property as their home collapsed during the storm. “We were so sad to see all that we possessed disappear in a brief moment,” he said. 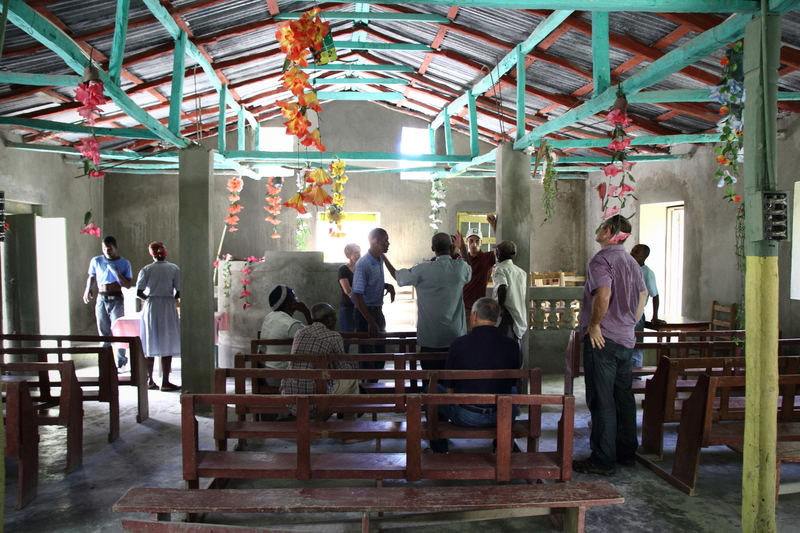 The family gathered up the scraps of metal and wood from their home and pieced together the one-room shelter you see in this photo, which is where they’re living, “while waiting for God’s help,” Mr. Maxi said. 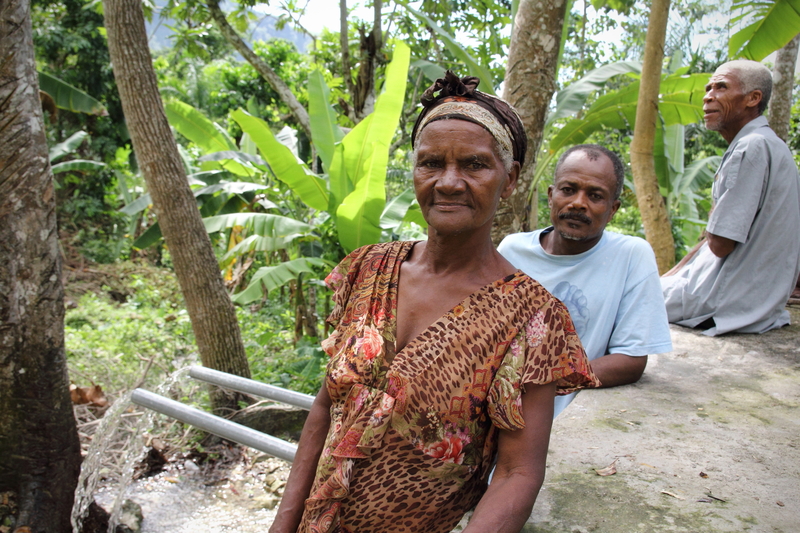 The family is supported by his crops, but his income is barely enough to survive. His two children are not able to attend school, and can only write their names, he said. We are working to repair or rebuild more homes damaged by the storm in this area. We’re also giving families small cash grants to buy food, restart businesses, and get back on their feet earning income again. In the U.S., we’re working through partners who were on the ground on the East Coast within days of the storm, assessing needs, providing spiritual support, and organizing opportunities for cleanup teams. One partner your donations are helping support immediately dispatched rapid response clean up teams to communities in Northern New Jersey, such as the town of Little Ferry, which was heavily damaged by the storm surge. 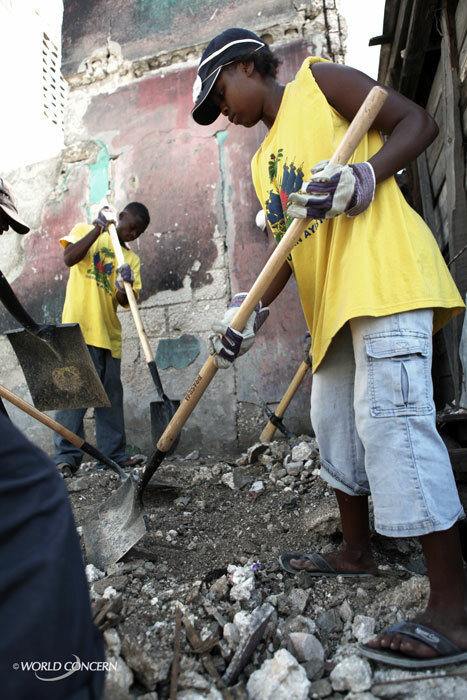 Neighbors in Haiti work for World Concern clearing rubble. We all have places we’d rather avoid – things we’d rather not look at: the attic filled with rubbish that needs to be purged, that far corner of the yard that’s overgrown with weeds, or the part of the city that makes us cringe, where society’s outcasts sleep on benches. In Haiti, entire neighborhoods have been left virtually untouched since the earthquake five months ago. World Concern is now expanding its humanitarian reach into Fort National – one of the hardest hit neighborhoods during the quake – to begin rebuilding and repairing homes. It is one of those neighborhoods yet to see significant aid. The rubble in this area has been a virtual tomb for hundreds of bodies. As we’re uncovering debris, we see Haitian workers overcome with the sights and smells. Our disaster relief director, Merry Fitzpatrick, says, “they appear almost drunk” as they stagger from the stench. The pain is far from over here, but we see the importance of moving into the Fort National community. As we make progress, those in homeless camps can return home. We’ve already helped more than 300 families move back into their newly repaired homes in the nearby Delmas neighborhood. In the meantime, 500 kit homes have arrived in Haiti – and assembly begins in the coming days. After that, we plan to build an additional 500 homes with local materials. Neighbors are working side by side to rebuild their own neighborhoods, providing a sense of tangible recovery. Yet with all of this progress, the dark cloud of hurricane season looms on the horizon. Haiti was spared from major hurricanes last season, but forecasters, such as the National Oceanic and Atmospheric Administration, have predicted a highly active season, which officially began on June 1. Several major Category 3 or above storms are predicted before the end of hurricane season in November. Nature has created a deadline of its own for our disaster relief experts to move earthquake victims out from under tarps and into or back into homes before hurricane season peaks in August and September. We are confident, with your help, we can beat this storm season and make sure as many vulnerable families are safe in homes this summer. We won’t seek to avoid this – but instead – take it head on. 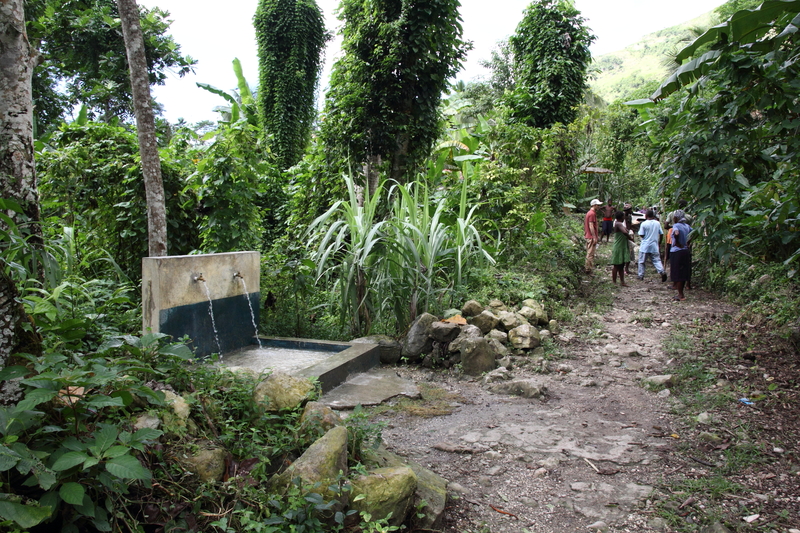 Learn more about World Concern and our work in Haiti.